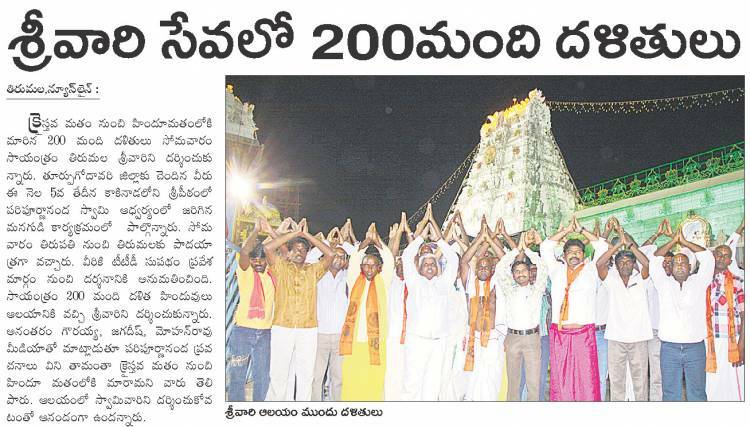 About 200 Dalits who reconverted to Hinduism had a special, historical darshan of Lord Venkateswara on October 8, 2012. Swami Paripoornananda, Pontiff of Sri Peetham, has been very active in bringing Dalit Christians back to Hinduism. Ghazal Srinivas of SaveTemples of Global Hindu Heritage Foundation joined the event in arranging a special bus from Kakinada to Tirupathi and shared the expenses for the event. 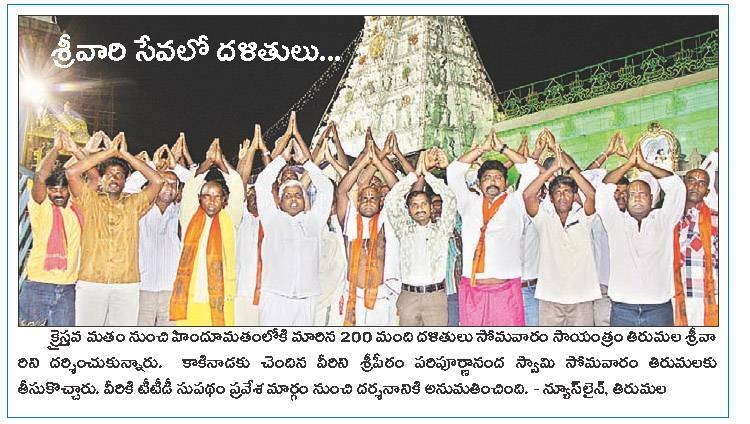 Fifty reconverted Dalit Hindus left Kakinada on 7th evening and reached on 8th to Tirupathi. About 150 other reconverted Dalit Hindus joined the group on Tirumala where TTD officials arranged a special darshan for these people. Swamiji personally greeted all the Dalits and made all necessary arrangements for a memorable, unforgettable, and historical event. Following Lord Balaji Darshan, Sri Gauraiah, Sri Jagdish and Sri Mohan Rao met with the media and announced that because of Sri Swamiji’s powerful speeches, they converted from Christianity to Hinduism and expressed their utmost happiness in having Darshan of Balaji. Eenadu, Sakshi and Andhra Jyothy daily newspapers have given coverage to this unique, historical event. Swami Paripoornananda speaking to the media demanded that TTD officials should open their eyes and urged them to provide darshan to all devotees belonging to Dalit community. If they fail to do, Lord himself will teach them a lesson. Executive Officer of TTD should concentrate on providing proper facilities to the common man rather than concentrating on VIPs. TTD should stop pampering Business people, (Swamijis), Politicians and others and should concentrate on providing proper facilities for the common pilgrims. He also observed that the Dalita Govindam program that takes Lord Venkateswara to different Dalit communities is a good concept. At the same time, it is equally important to encourage Dalits to have darshan of Balaji on Tirumala itself. Many of them are unable to take a pilgrimage because of many limitations. They should be given free darshan. This is one way of countering the conversion efforts of other religions. He also said that for the last one year he has been urging TTD to arrange free buses for Dalits to visit TTD from all the districts. In fact he demanded that TTD should provide two free buses every week from each district for Dalit community as well as economically backward pilgrims. Further he demanded that Dharma Prachara Parishad should allot budget of 200 crores to make necessary arrangements for events like this so that poor people will not be treated differently in a discriminating manner. Swami Paripoornananda also mentioned that he could not understand the hesitation on the part of EO to build Vakulamata Temple. If Vakulamata Temple is built, it would be good for the state and also become prominent in the country. Illegal mining must be stopped immediately and the construction of the Temple should start forthwith. Global Hindu Heritage Foundation strongly feels that this kind of special encouragement is essential to prevent Dalits from getting converted to other religions. It is known fact that the denial of Dalits to enter Hindu Temples definitely encouraged them to look for alternatives to be counted as human being. This is also an occasion for many Dalits to be proud of their heritage. It is also a good time for all Hindus to reflect on our scriptures such as Bhagavad Gita, Mahabharata, Ramayana and others and start practicing what is preached. Emphasis should be placed on the code of conduct and behavior rather than the caste. Any Hindu who is concerned about the future of Hinduism should make every effort to be inclusive, not exclusive; more tolerant, not discriminatory; more broadminded, not small minded; more in tune with scriptures, not constrictive dogmas. 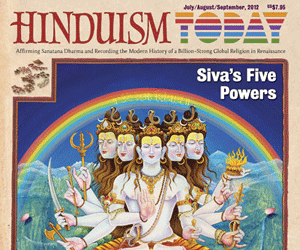 Hindus cannot live without being cognizant of the happening in the surroundings. Now there are more churches than Hindu Temples. They have enough resources coming from foreign countries and practically taking advantage of our indifference to allure the Dalit and backward classes of people into Christianity. Our own antiquated traditions and customs are pushing the Dalits to get converted. Our dwindling numbers will prove fatal to our customs, traditions, rituals, and our own religion. All Hindus need to open their eyes to see the potential danger for their own survival. They need to wake up before they are wiped out. Hindus need to get out of this “frog in the well” mentality and see what is happening beyond their own backyard. Something is getting rotten around us. Before that foul smell makes you move out, you better stamp out the smell and clean the surroundings. 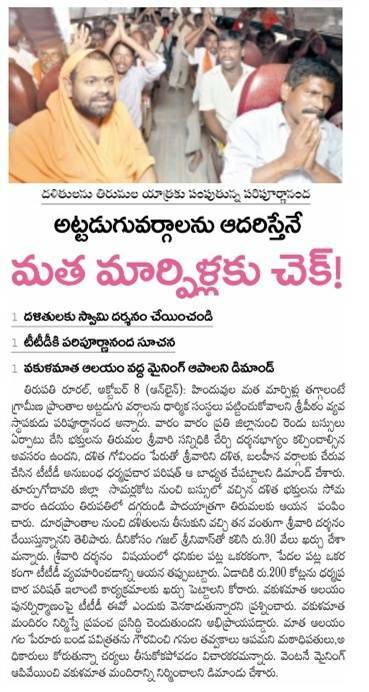 All Hindus should support the “Dalithude Govindudu” (Dalit is Divine/ God) initiative by Swami Paripoornananda and Ghazal Srinivas. It is time to see divinity in the heart of every human being instead of the caste. We should all remember Adi Shankara’s encounter with Chandala. As the legend goes that when Shankara was on his way to the temple after a bath in the Ganga, he found a Chandala with four dogs blocking his path. He got furious when the Chandala refused to step aside, and when he was asked to do so. The Chandala asked, "what is it that you want me to set aside: My body or my soul? If it is my body, both yours and mine are made up of the same physical elements. But if it is my soul, it is also no different from yours. 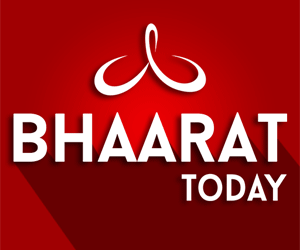 How can therefore be any distinctions of caste and creed?” Filled with remorse, Shankara prostrated himself before the Chandala, thinking: “He who has learnt to see ones existence everywhere, he is my master—be he a Brahmin or a Chandala.” This is a profound message that we need to adopt, propagate, imbibe and practice. Following the encounter, Adi Shankara composed Manisha Panchakam, which is the most highly elevated and spiritual poem on the futility of caste differences.In these verses Adi Shankara says that he would accept a person as his Guru if he possesses highest wisdom whether that person is a chandala or a Brahman; he says he will accept him as his Guruif the person has the correct knowledge even if he is a Chandala and concludes by saying that he would accept a man whether he is a chandala or Brahman, if he possesses the true knowledge of Brahma as his Guru. "Those who are devoted to Sri Rama are free from lust, vanity and anger. They look upon the whole world as full of their Lord. Against whom then can they harbor animosity? (7.112:b). Global Hindu Heritage Foundation and Sri Peetham are committed to bring unity among all Hindus irrespective of their caste. The more wedge we create among us, more danger the Hindus will face. Remove the barriers and build bridges between different castes. Prakasarao Velagapudi PhD, ( 601-918-7111 cell), ( 601-856-4783 home); Prasad Yalamanchi ( 630-832-2665; 630-359-5041); D. Satya ( 732-939-2060); Dr. K. R. Venkatramaiah (Canada) ( 416-925-8167); Satya Nemana ( 732-762-7104); Sekhar Reddy ( 954-895-1947); Tulasichand Tummala ( 408-786-8357); Raju Polavaram, MD ( 919-959-6141); Nandini Velagapudi, PhD ( 601-942-2248); Rama Kasibhatla ( 678-570-1151); Srinivas Murthy ( 212-538-8716); Shankar Adusumilli MD ( 919-961-9584); Sireesha Muppalla ( 631-421-8686); Prasad Garimella MD ( 770-595-8033); Raghavendra Prasad MD ( 214-325-1969);Dr. Ghazal Srinivas, Honorary Brand Ambassador. Rajesh Veerapaneni ( 773-704-0405); Sunil T Patel ( 214-293-4740); Gopal Ponangi ( 214-868-7538); Ram Yalamanchili ( 214-663-6363); Ravi Pattisam ( 617-304-3577); Krishna Athota ( 214-912-3724); Rajendra Narayanadas ( 214-901-3399); Sesharao Boddu ( 972-489-6949); P. Srinivas ( 832-444-6460); P. Viswanadham, PhD ( 972-355-7107); I V Rao ( 214-284-6227); Sridhar Kodela ( 214-907-8552); Vijay Kollapaneni ( 818-325-9576); Ghanashyam Kakadia ( 469-583-1682); R K Panditi ( 972-516-8325); Mahesh Rao Choppa ( 732-429-5217); Viswas Mudigonda ( 972-814-5961); Satish Reddy MD ( 972-724-3232); Srikanth Akula ( 952-334-9990); Kalyan Jarajapu ( 972-896-8352).